I’m sure you already know how much I love monthly subscription boxes. 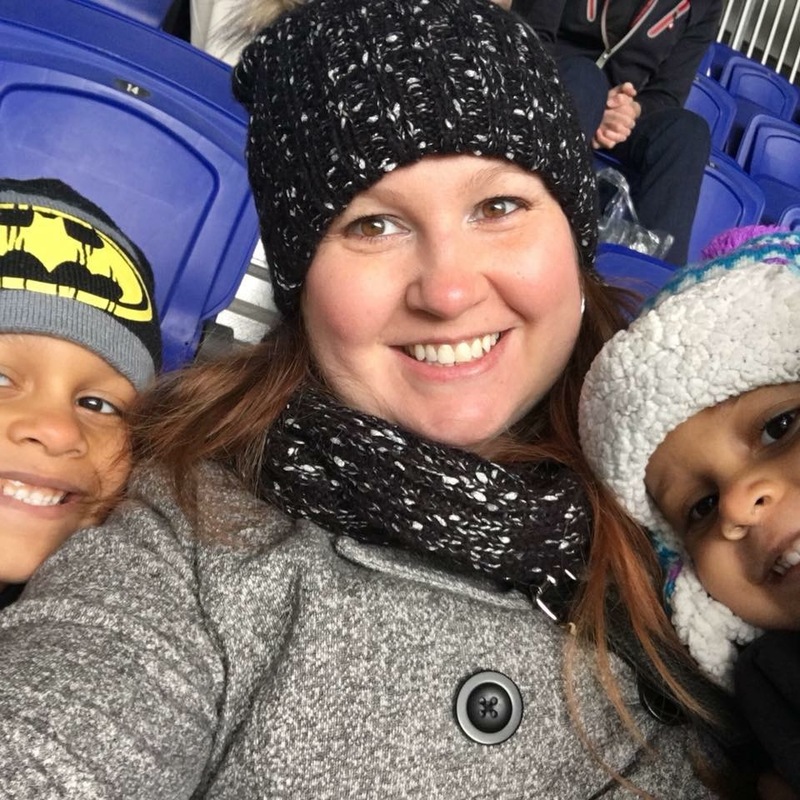 From storybooks and activities for my kids, to men’s clothing for my boyfriend, to beauty products for myself and even general home products for the whole family, there is no shortage of subscription boxes delivered to our house every month. One of my favorite subscription boxes is Ecocentric Mom, which offers all-natural products that promote healthy living for mom and baby, and even during pregnancy. I’ve actually shared with you a Mom & Baby Box and a Mom Box from Ecocentric Mom in the past. 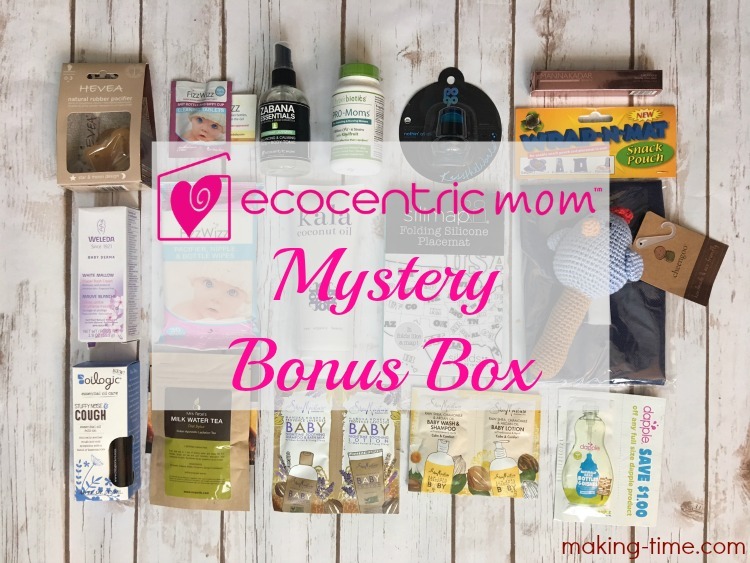 But today I want to share an extra special box from Ecocentric Mom, the Mystery Bonus Box. There are two Mystery Bonus Box types available – Mom/Woman or Mom & Baby. In the video below, I’m unboxing one of the Mom & Baby Mystery Bonus Boxes. Take a look! What’s in my Mom & Baby Mystery Bonus Box? Oh my goodness! 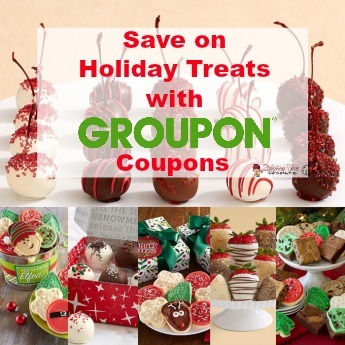 Just look at ALL of these amazing products! Again, everything is all-natural, organic and promotes a healthy home and body. 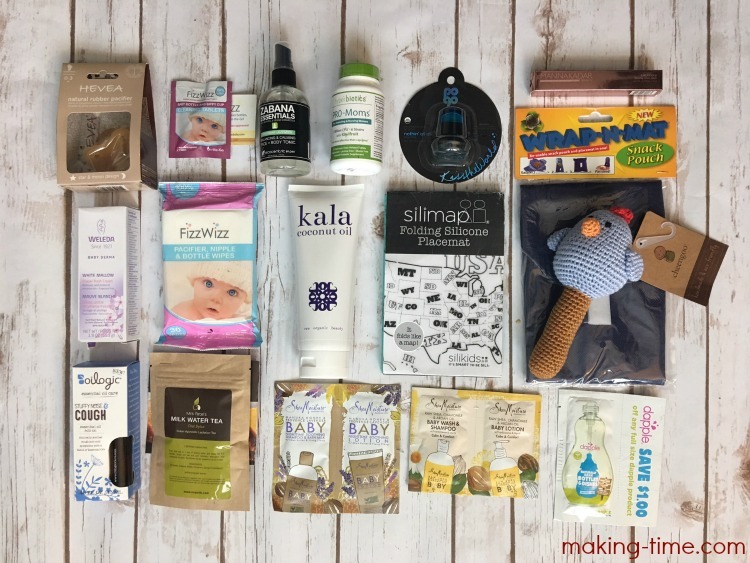 Some of these products I’m familiar with because I received them in previous Ecocentric Mom boxes, but the majority of these products and brands are new to me. That’s one of the things I love about boxes like this. I get to try new products and brands that I otherwise probably wouldn’t even know about! And don’t let me forget to mention that all but three or four products in this box are full-sized! Just so you know, I took the time to research every one of these products just to see what everything would retail for and you’re not going to believe this – $169 (minus the samples)! Holy moly! Guess how much the Mystery Bonus Box is! Just $44.99! Living an all-natural lifestyle can be expensive. I’m not here to tell you that my family lives a completely all-natural and organic lifestyle because that’s far from the truth, but when I come across good deals like this and know the products are better for me and my family, it would be insane not to take advantage! 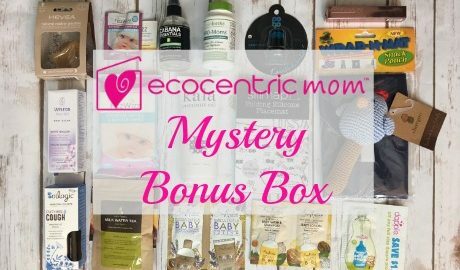 Get your Ecocentric Mom Mystery Bonus Box here! 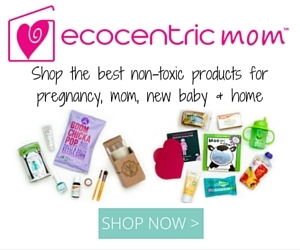 Have you ever tried Ecocentric Mom? *This post contains affiliate links, in which I may receive compensation for your purchase. I also received a sample free of charge. My opinions are 100% my own and in no way influenced by the brand. Any claims or statistics should be confirmed with the brand. Please see this blog’s full policies and disclosure here. This is such a fun idea. Look at all that good stuff in there. I want to sign up! WOWZA! That is an impressive box! I love sub boxes and a mystery box sounds like a lot of fun! Thanks for telling us about it – I did not know about this one! 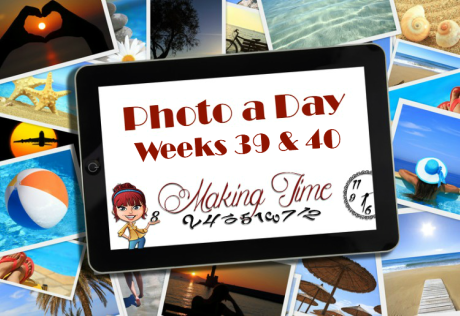 This is perfect for expecting moms or new moms! I love that those products are all-natural and organic. I’ve never heard of Ecocentric boxes before but after reading this and seeing what was in your Mystery box, I will be looking into this more! There are so many great products in this box and the fact that the majority of them are full-size is fantastic. There is a lot of value in this box! Lots of great stuff. Makes me wish I could afford a box. New moms can have all of these organic products for only $50? That was a very great deal. that is one of a really good box to have! mums would be totally delighted receiving them! that’s a lot of things for 50! That looks like an amazing box. I need to give it a try! I’ve never tried Ecocentric Mom nor have I heard of those companies in the box, but that’s what I love about box companies like this. You get to try a lot of new-to-you products. WOW! That is a HUGE box! I can’t believe it was only $44! What a steal! I’ve never heard of this before! Subscription boxes are fun, but I’ve never heard of a mystery bonus box. This sounds cool. Wish I heard of this brand when I had my baby. This looks like a perfect baby shower gift for new expectant moms. So many organic products all in one box. wow, that looks like a fun subscription box. 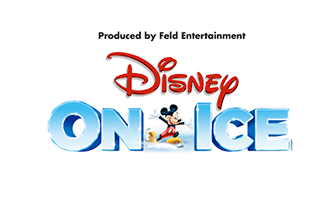 I would love to check it out. Thanks for sharing! I have never tried nor heard of the Ecocentric Mom! These look like great products I would love to try for myself. I have been a long fan of Ecocentric Moms – their boxes are perfect for health-conscious moms who want to eliminate toxins from their homes. 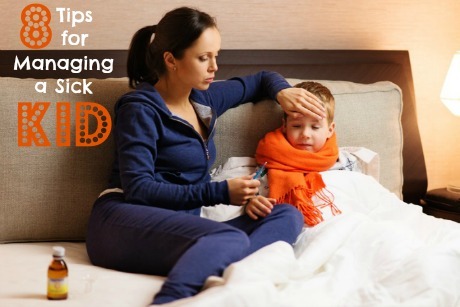 I have discovered so many wonderful products for my little ones and me through their boxes. 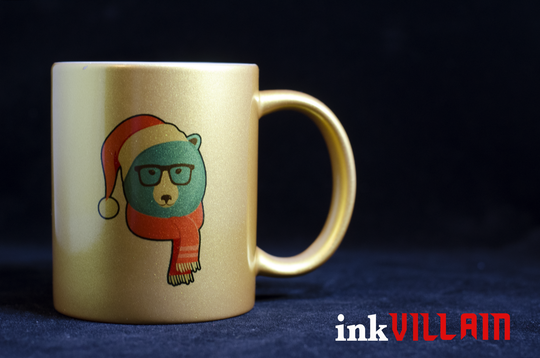 Looks like you got a ton of great items here! This is so cool! I wonder if they have a discount for twins?! HA!